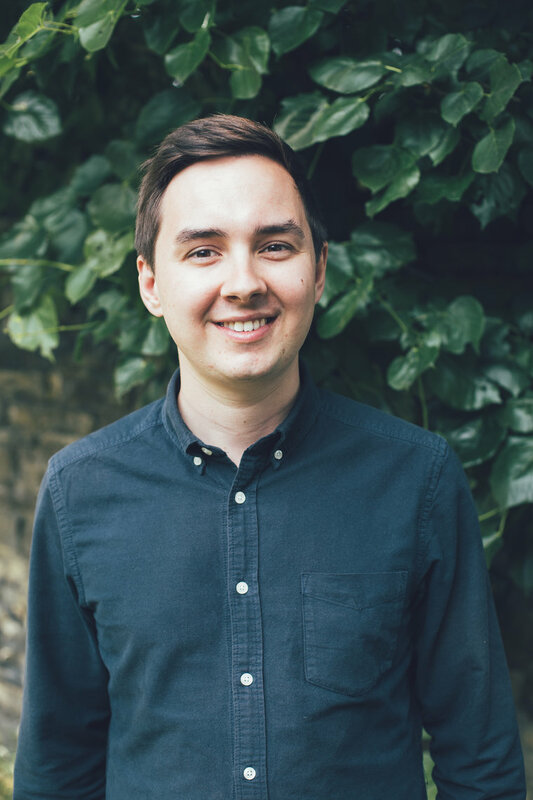 Offploy is a specialist recruitment agency, founded by Jacob Hill, to get ex-offenders into sustainable and meaningful employment by helping businesses manage the recruitment process. An ex-offender himself, Jacob's creation of Offploy is a brilliant example of what can be achieved with the untapped entrepreneurial talent that exists in prison. I asked him to share his experience, ideas and ambition for Offploy with us. Hi Jacob, tell me a little bit about yourself prior to setting up Offploy. I'm 24 years old, but at 21 I was Yorkshire's Young Entrepreneur of the Year, I was graduating from university, I was completely broke and miserable. Before my 22nd birthday I was arrested for possession with intent to supply Class A and B drugs. I lost the business that I originally had and I was sentenced to prison for 28 months. Tell me about how Offploy came to exist. Whilst working in the prison, sewing boxer shorts together, I got talking to another serving prisoner. He said to me, “You're brainy, you've been to uni, you've done all these things, and I'll never get those chances in life, I'm not smart enough, I don't think like that." We then looked at all the qualifications he'd got whilst he was inside and he was actually qualified enough to do a Foundation Degree in Sport's Management, and it completely changed his perspective. It was that moment that made me think: isn't it just a case of supporting these lads or lasses to help them find that meaningful activity? I thought that, if an employer would hire me, perhaps they might also trust me to hire someone on their behalf? That's where I started Offploy from. It then took having friends, family, education providers, and prison officers all helping me do research for my business plan, which I put together in my prison cell over 7 months of my 9 ½ month sentence. It pulled the prison together and it got everyone on board with my whole vision, which was incredible to see. What do you think are the benefits of hiring ex-offenders? When I talk to employers, I tell them that by hiring ex-offenders, you've got the first picks of people who really want the opportunity to work, and who have skills, often developed through training in prison. Employers who work with ex-offenders can see a 70% retention rate in staff in people from prisons. They can see that they are skilled up already and that their loyalty is incredible. That's what I stress more than anything, not the fact that you are doing good for society, which is a given, but the fact that you've taken on someone who is loyal, skilled or on the way to being skilled and someone that everyone else has overlooked. I tell them that these are not people who are going to be a burden or a hindrance, or people who fit the irrational fears that anyone can build up about people from prison. They are motivated and committed to work. Why do you think there is this lack of knowledge about the benefits that ex-offenders can bring as employees? Because we paint this picture up of what a prison is and we paint it up as this black hole of talent, where society's dregs get thrown. We build up this idea that only very bad people get a criminal record. We've all done bad things in our lives and we may even have had more of a negative impact on someone's life than an ex-offender has with their criminal offence. It helps us to see the importance of giving someone else a chance, someone who's paid the penalty for what they did and now wants to have the opportunity to get back into the workplace. What are Offploy's main services? The best way to define us is that we are a recruitment agency and a social enterprise that reinvests its profits back into helping employers become ex-offender ready and ex-offenders become employment ready, and also keeping them in that job. We're very much in the early days of the business. I've interviewed 20 candidates now and we've just got our first four people into work. We help employers through the process of hiring someone with a criminal conviction. We help them maximise the corporate social responsibility, but we see that as being secondary to finding the best person for that job. We do work exclusively with people with criminal convictions. But if we had 100 ex-offenders and none of them were right for the job, we wouldn't put them forward. It's about finding the best person for that employer, for that job. Do you do any work to prepare employees, to make them ready for employment? Yes, so I've interviewed 20 lads, and 6 of them are just not ready. Although they did have some motivation to be there and the enthusiasm for work, because they were self-referred to us, they didn't have the requisite soft skills. So in terms of preparing them for work, we're trying to teach them these soft skills. They need to be able to shake someone's hand, look them in the eye, and say, “I want this job, and I'm not going to let you down." We also work to build up their self-confidence. I don't tell them to go into that job or into that workplace and say, “Don't let me down," I say, “I believe that you're going to do this, good luck, we're here for you 100%, every step of the way." And that's not what many of these lads have had in their lives, it's always been a case of, “Don't let us down, don't break the law, you're just going to fail." And it is about giving them that emotional push and saying, “You are good enough." What is the process of hiring ex-offenders actually like? Is it any more complex than hiring individuals without convictions? Absolutely not. We're going to encourage any employer we work with to 'Ban the Box'. You've simply got to think about which roles require a DBS check. That's the first step for employers. But really, as long as you're role is not DBS-checked, and providing you've taken into consideration the terms that the probation officers place on that individual (which an employer shouldn't really worry about because the individual and the probation officer will have those terms set) the hiring process is no different. In fact, the employer doesn't need to use my company. I just care about employers hiring people with convictions, and if you don't want to go through a specialist recruiter like us, just make sure you're looking at Nacro, Unlock and 'Ban the Box'. But if you do want to go through us, Offploy provide support from end to end. We ensure that you're following best practice, and we also sort and select candidates in a way that other recruiters can't, because we've got relationships with prisons, probation services and job centres. Where do you source your potential employees from? When I started the business, I cold-called Yorkshire's top 250 businesses in certain industries and out of them all, I got a face-to-face meeting with three. These were people in healthcare, food and manufacturing as well as in construction. So I redefined our route to market. We now work with recruitment companies, supporting them to see the potential of ex-offenders and help their clients to recognise this potential. . What we're going to do is, through educational content and case studies, we're going to message these agencies saying, “We can manage your employment process, we'd like to start looking at ex-offenders, what do you think about that? Here are the pros, here are the cons." For us it's about working with the recruiters to educate their clients. The recruiters benefit because they're putting more people into work and the clients benefit because they're accessing a wider talent pool. With these recruitment agencies you're working with, what are their motivations for working with you? All I hear all day long when I talk to other people in this industry, or when I talk to prisons, or funders, they say that employers won't pay for someone with a criminal conviction. And I just think, “What are you talking about?" Employers want talent. If they go through recruitment agencies already, it's no different. You're providing them with talent, and you're actually providing them with someone that they know more about than an individual who comes in off the street looking for a job. So the recruiter will get a placement fee for putting the people into work and benefits of being able to say that they're helping ex-offenders into employment. Are they working with employers in a wide range of industries? We can do it two ways. Either we can ask a recruitment agency about the jobs they currently have that they would be willing to fill with ex-offenders, or recruitment agencies can tell us that they have certain types of jobs coming up, and see if we have any candidates who are suitable for the roles. So we work with employers across a range of industries. I believe construction is our strongest at the moment because there's a demand for labour. What, if any, reservations do people have about hiring ex-offenders? It's about how you start the conversation with employers. I used to ask employers whether they could consider hiring an ex-offender, and their response would often be negative. They'll tell me that they know that there are some good people in prisons, but they can't yet picture them. So what I now do with employers is flip the conversation around. I start by telling them about the person, about their qualifications and their character, before introducing the fact that they have a criminal conviction. Employers then tell me that they would hire this individual, because they need someone with that particular set of skills, and they trust me and the fact that I'm willing to help this individual find employment. The answer is to educate employers, and show them that these individuals are great people who are ready for work. So we should stop asking employers if they would hire an ex-offender, and ask them instead whether they would hire a particular individual. Have you had any feedback from people who have hired ex-offenders? I work alongside an ex-offender at the moment who was in prison, he served between 5 and 7 years. The same guy that has invested in me and supported me gave that guy a job 15 years ago. That guy is now Project Manager of a contract company that does painting and decorating. It's incredible. Employers just need to get their head around the fact that these are loyal people. My final question for you is what's your long-term hope or plan with Offploy? I have a pledge. My pledge is that, by 2019, I will have put 250 people with criminal convictions into meaningful, mentored and sustained employment. When I say sustained, I meant that I want to see them in a particular role for longer than 6 months. And I want companies to join that pledge with me. I want small companies to pledge to take on one person, I want medium companies to pledge to take on 10 people over 2 years, and I want large companies to pledge to have 1% of their workforce made up of ex-offenders. That's what I want to see, and for me, 250 by 2019 is that magic number. I'll work at it every day.